So, you’re in Vegas and you are deciding the best course of action for the next few days. Let us point you in the right direction! 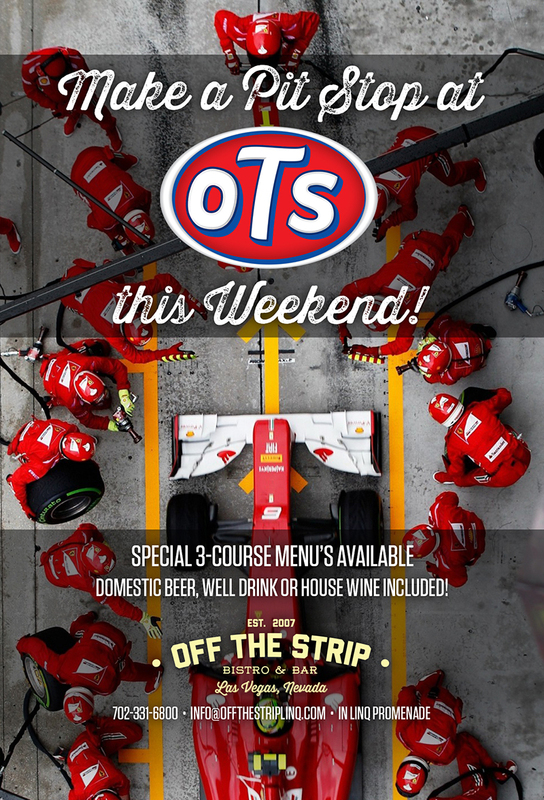 Off The Strip is offering a special 3-course menu (choice of three different menus) to celebrate the DC Solar 350 and Citizen Soldier 400 races at Las Vegas Speedway from Oct. 1st-2nd. These special menus even offers domestic beer, a well-drink, or house wine. Come enjoy the races, hang out with friends, experience great food, and awesome drinks! Whether you want a quick food run, or you want to hang out and relax, we’ve got you covered. Your next few days are now set, and soon you will be off to the races!